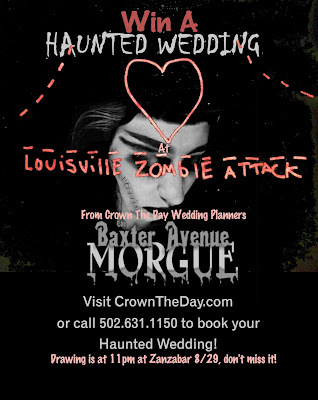 Louisville Zombie Attack: Win A Wedding at Zombie Attack! Win A Wedding at Zombie Attack! 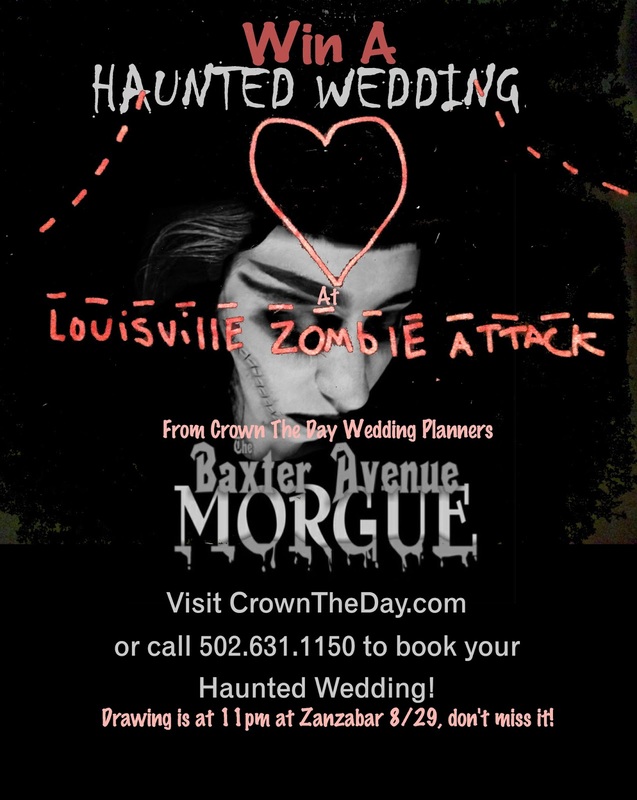 We are giving away a themed wedding at Louisville Zombie Attack curtesy of Crown The Day, Louisville based wedding planners that specialize in themed 'Pop-Up' weddings at a fraction of the price of traditional weddings. Choose from 'Friday the 13th', 'Zombie', 'Haunted House' (at Baxter Avenue Morgue) or other themed weddings at crowntheday.com! Wedding includes location, officiant, coordinator, flowers, photos, cake, and celebration toast for up to 20 guests! Drawing is at 11pm at Zanzabar, don't miss it! Louisville Zombie Attack 2005-2017. Simple theme. Powered by Blogger.